Gospel singer Bahati and wife Diana Marua were blessed with a cute baby on February 14 this year and life has not been the same for the two. 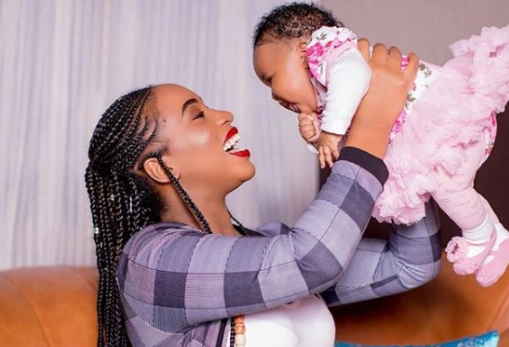 The two, who named the baby Heaven Bahati, have been enjoying parent responsibilities and sharing it on social media now and then. Heaven was recently hospitalized after falling ill but was released after just a day. Bahati took to IG to thank his fans who supported him during the temping times. It seems she’s totally fine now and even her dad steps out with her to enjoy some sun. Here’s the photo of the two enjoying the morning sun now that the rains have reduced.